There is something beautiful about falling in love, but there is something sacred about choosing to love. There is something sacred about seeing people as they really are, a unique bundle of interests and passions and hurts and wounds and skills and experiences and sorrows and joys and hopes and dreams and pet peeves and quirks and more—seeing them for all this, and choosing to love them, choosing to commit yourself to them, choosing to shower them with your affection, your attention, your time, your energy, your very life. There is something sacred about choosing to love—because this is how you are loved by God. God sees you as you truly are, every bright spot and dark corner of your life, and chooses to commit himself to you, to shower you with his affection, time, and energy, God’s very life. Being loved by God, though, doesn’t mean that everything will come up roses. In fact, the New Testament promises that following Jesus means you’ll get an extra special share of hardship, and opposition, and suffering. I often think our view of God hasn’t changed all that much from ancient times. In ancient times, people tended to believe one of two things about the gods. Either the gods don’t really care at all about humans: the gods only seek to use humans or be amused by them. Or if there is any “love” from the gods it’s about reciprocity: you do X for God, and God will do Y for you. It’s love as payback for services rendered. But Jesus breaks the pattern. In Jesus God acts first: God so loved the world God sent Jesus into the world, God first loved us. And there is no condition for God’s love: God loves us, period. We don’t need to do the right rituals with the right words. We don’t need to clean ourselves up first, make ourselves presentable. God looks at us, warts and all, and loves us. This also means that Jesus has severed the connection we make between our circumstances and God’s love. In the ancient view, a view that is still prevalent among many people, including many Christians, if life is good it means God is pleased with me; if life is bad, it means God is not pleased with me. Again, Jesus breaks the pattern. Think about Jesus himself: he perfectly did God’s will, did exactly everything that God wanted him to do. And yet where did that lead him? Suffering in agony and dying on a cross, crying out in anguish to God. Here’s the point: our circumstances don’t tell us anything about whether or not God is pleased with us, whether or not God loves us. God’s love has nothing to do with whether or not we are beautiful or rich or smart. Nor does God’s love have anything to do with whether or not we are poor or sick or sorrowing. But then what does it mean to say, “You are loved by God”? It means this: you have God’s unconditional acceptance, and you have God’s constant, abiding, strengthening, compassionate presence. Think about it: when push comes to shove, this is how we hope other people will love us. At the end of the day we don’t measure their love by how many gifts they give us, whether they give us stuff to make us happy. Sure, a parent who loves her children loves to give them good gifts, just like God enjoys giving good gifts to us. But those gifts are not a measure of her love; those gifts are not a measure of God’s love. No, when push comes to shove, when we’re at the end of our rope, we know people love us because they accept us just as we are, and they are there for us when we need them most. So stop measuring God’s love by whether or not God gives you stuff to make you happy! 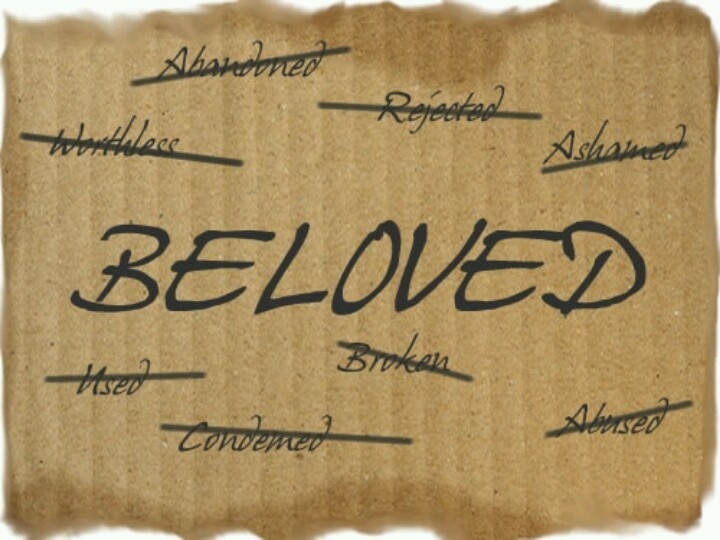 Stop measuring God’s love by how healthy or comfortable or “blessed” you are! Instead, know that this is what it means to say “You are loved by God”: God accepts you even when you’re at your worst, and God is right there with you even when you’re at your lowest. You are loved by others, whether you see it or not. And you are loved by God—unconditionally, without reservation, and always. This entry was posted in Michael Pahl and tagged audio, god's love, love, romans. Bookmark the permalink.